We have represented clients involved in all phases of the life cycle of a product from an engineer/inventor to retailer. 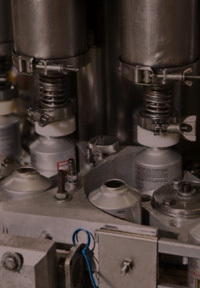 The attorneys of Brinker & Doyen, L.L.P., have defended all types of product liability claims, including claims alleging strict liability, breach of warranty and/or negligence arising out of alleged manufacturing defects, design defects and insufficient or non-existent warnings and directions. We have represented clients involved in all phases of the life cycle of a product from an engineer/inventor to retailer. Products liability continues to be a growing field for the Plaintiff’s bar. We have seen an increase in products liability lawsuits since comprehensive tort reform was passed in Missouri in 2005 which resulted in the curtailing of other types of lawsuits such as medical malpractice cases. The injuries associated with products liability cases are often serious, and sometimes catastrophic. Missouri, unlike Illinois, does not have a statute of repose, so manufacturers theoretically face timeless exposure for products placed in the stream of commerce. Our clients have included a broad spectrum of companies in diverse industries. We have handled lawsuits involving pharmaceuticals, medical devices, equipment and implants. We have also defended claims involving products alleged to be unfit for human consumption, including claims for food borne illness (E. coli O157:H7, salmonella, etc.) and claims involving foreign objects. We have handled cases involving consumer products such as lighters, bottles, automotive refrigerant and feminine hygiene products. We have handled toxic tort cases involving asbestos and diacetyl. We have also defended inhalation claims involving various industrial chemicals. Our attorneys have also defended many cases that involve injuries from industrial equipment such as valves, presses, balers, augers and calendars. One of our partners was recognized by Missouri Lawyers Weekly with the No. 3 Top Defense Verdict for 2009 for obtaining a Defendant’s verdict in a product liability case in Buchanan County, where a worker’s arm was amputated when he reached into an auger in the food processing plant where he worked. Our experience has been that products liability cases are similar to professional liability cases in that a successful outcome depends in large part on the selection and preparation of defense expert witnesses. These witnesses can include our own client’s personnel. In addition, we work with our clients to locate and retain industry, engineering and other appropriate experts as quickly as possible.